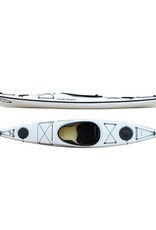 The Vision 120SP is the perfect kayak for smaller paddlers who place a premium on weight and safety. This fun paddling 12' boat weighs in at a jaw dropping 32 lbs making the Vision 120SP super easy to car-top and portage to the water’s edge. Outfitting includes two composite bulkheads and hatches, a user friendly keyhole cockpit, and light weight fixed seating. All members of the Vision family have a generously sized keyhole cockpit that allows for easy entry and exit, as well as ample foot room and large storage capacity. They also feature lower faceted decks that have minimal wind exposure making for an enjoyable in-control paddling experience. 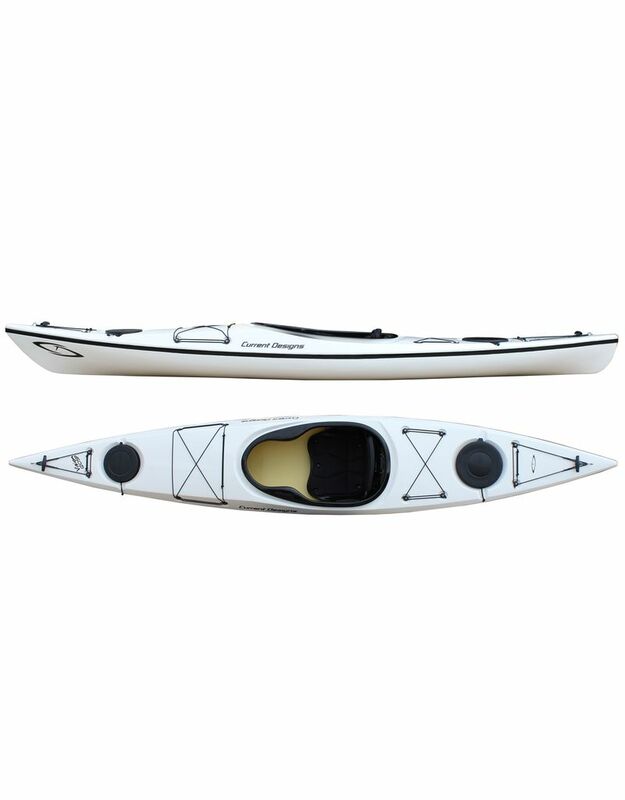 These features coupled with the confidence inspiring 23” beam allow the Vision 120 SP paddler to experience a true kayak fit and feel while developing a myriad of skills at their own pace. The Vision 120 SP is constructed from a vacuum bagged composite hybrid material, which allows for an unsurpassed combination of light weight, stiffness, toughness and value. Cockpit Size: 17.25" x 31.5"
Bow Hatch: 8", 10 Gal. Stern Hatch: 10:, 21 Gal. Swede Form:Widest behind the cockpit, Swede form has a cleaner, longer, and more slender entry, giving efficient touring speeds and maneuverability. In shorter lengths these kayaks are very responsive. Longer kayaks with this feature have amazing acceleration and track well. Because of the narrow bow they may punch through a steep wave, rather than ride over it. Soft Chine:A smooth transition from the bottom of the hull to the sides. Soft chines give smooth edging at unlimited angles. The majority of kayaks that we build have a soft chine. Shallow Arch:These have good initial stability and are highly maneuverable. Keyhole Cockpit:A keyhole cockpit blends the openness of a recreational cockpit and the integrated thigh braces of a touring cockpit. The result is an easy to enter and exit cockpit that offers performance, fit, and solid connectivity to the kayak.